If you've ever wondered how music affects your brain, you're not alone—I wondered the same thing! 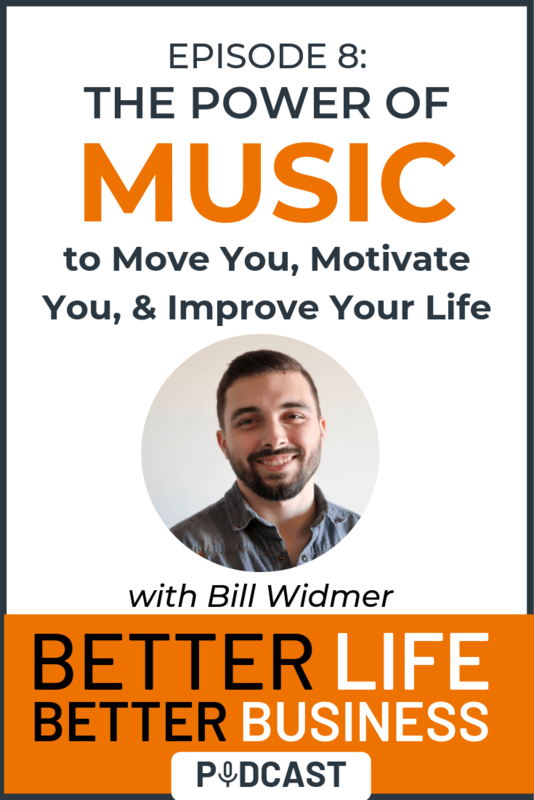 In today's episode, I share some of the science behind why music is healthy for you, what music can do to you, and how to use it to improve your life! It's a fun one. Let's dive in! The power of music on the brain. The science behind what music can do to you. Why music is healthy for you and how it can literally heal you! [1:32] How different music elicits different emotions. [2:30] The science behind the power of music on the brain. [3:20] How the complexity of music affects our interest in it. [3:58] Why you need to REALLY listen to music for it to effect you, and why you should dance while listening to music to get the full effect. [4:23] The songs I've been listening to lately. [6:38] How to use music to stand out from the crowd and get your customers, readers & listeners to feel the emotions you want them to feel. Lean On My by B.O.B.